possible, but I wouldn't advise it as a habit. 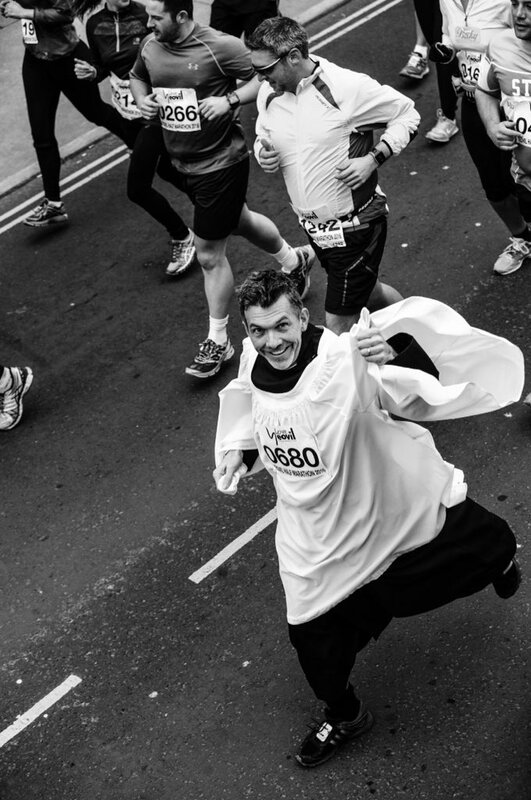 This Sunday (Palm Sunday) I'll be running the Yeovil Half Marathon in full clergy gear, to raise money for a project to refit our parish church. We have the great problem that the congregation no longer fits in the building, and having an uncomfortable, inflexible, often cold church isn't a great experience for the thousands who pass through our doors every year. https://www.justgiving.com/David-Keen4/ is the place to go if you'd like to sponsor me. PS don't tell the Bishop, I think we're all supposed to be on duty in church on Palm Sunday. Do you think anyone will notice?